The Children’s Advocacy Center of Northeastern Pennsylvania (CAC/NEPA) is a private, nonprofit, charitable organization whose mission is to provide excellence in the assessment & treatment of child/teen victims of abuse and neglect. 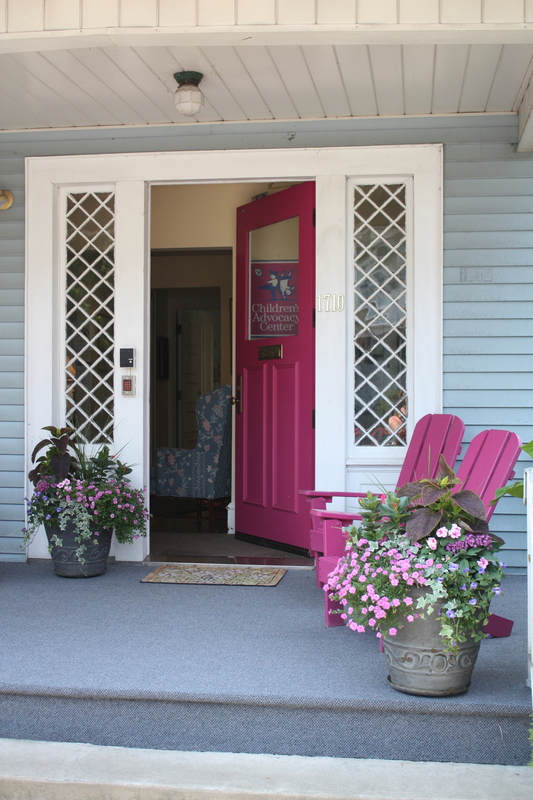 Our recognizable blue house with a bright pink door at the top of Mulberry Street is open 24 hours a day, 7 days a week. In 2013, we opened the Teen Advocacy Center, a Children’s Advocacy Center with a teen-focused setting. TAC is located at 316 Wheeler Ave, just around the corner from our Children’s House. Here, in the safety of a comfortable environment, full of childhood and teen comforts, they can speak of the unimaginable. Often experiencing shame and guilt, child victims who have experienced traumatic abuse undeniably need the compassion and specialized treatment they receive at our center to begin the healing process to keep the abuse from having a lasting effect on their adulthood. To minimize the number of interviews that a child must endure and to prevent that child from having to be taken to multiple agency locations, we respond to each child abuse case by putting the child’s needs first. Utilizing a coordinated Multi-Disciplinary Team (MDT) approach.we respond to each child abuse case by bringing a team of professionals to the child – at our center.